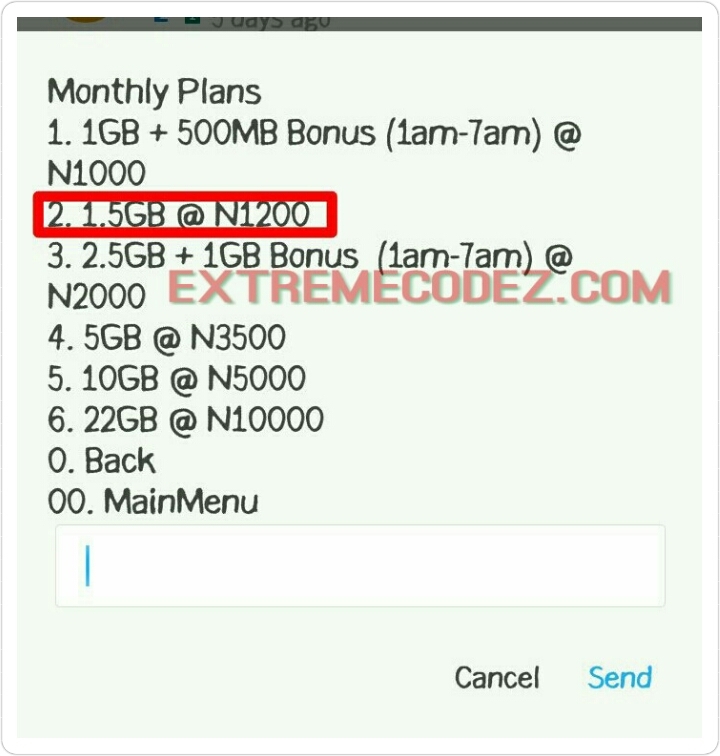 Not long ago MTN limit and share their Monthly plan of 1.5GB cost for 1000naira to 1GB to be used during the day and 500MB which is usable during the night from the hour of 1AM - 7AM. Also applicable to the N2000 plan. 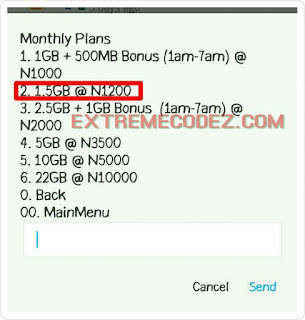 Right now, MTN has officially released a new data plan again. Some subscribers has already received a text message regarding this new data plan while some has not yet received the message. So this to alert you that MTN has officially added a new data plan that gives you 1.5GB for N1200 which is usable both day and night and it's valid for 30 days. This new data can be used any time. It works on all Internet enabled devices like Android, iOS, Windows phone, Tablet so on. You can dial *131#, reply with 1 and then with 2 to see or activate the new data plan. 1.5GB data can not last some internet users for 1week, talk more of those who love streaming online videos, we strongly recommend you to use the Airtel 6GB that cost for just 1500. Don't forget to share this post using any of the below share buttons.